(Open Box) Classic style and warm, full-bodied tone. D'Angelico's celebrated SS model has arrived in the Premier Series. 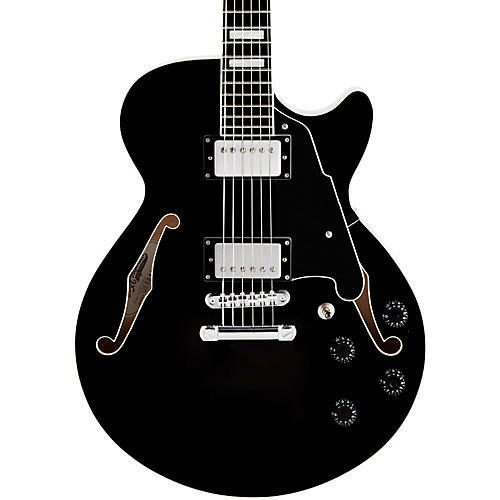 A 15-inch-wide, single-cutaway archtop strapped with custom D'Angelico humbuckers, the Premier SS delivers a warm, full-bodied tone that is still crisp and clear. From clean jazz to soulful rock grit, its versatility is unmatched. This model comes with a traditional stopbar tailpiece and a full center block. Includes gig bag.